The best beater for speed with improved foot feel, more powerful sound, and playing versatility. Works with any brand of foot pedal. Patented balance-tapered shaft design is made of machined Titanium or 17-4PH Stainless Steel improves foot feel and power, guaranteed bend and break proof. 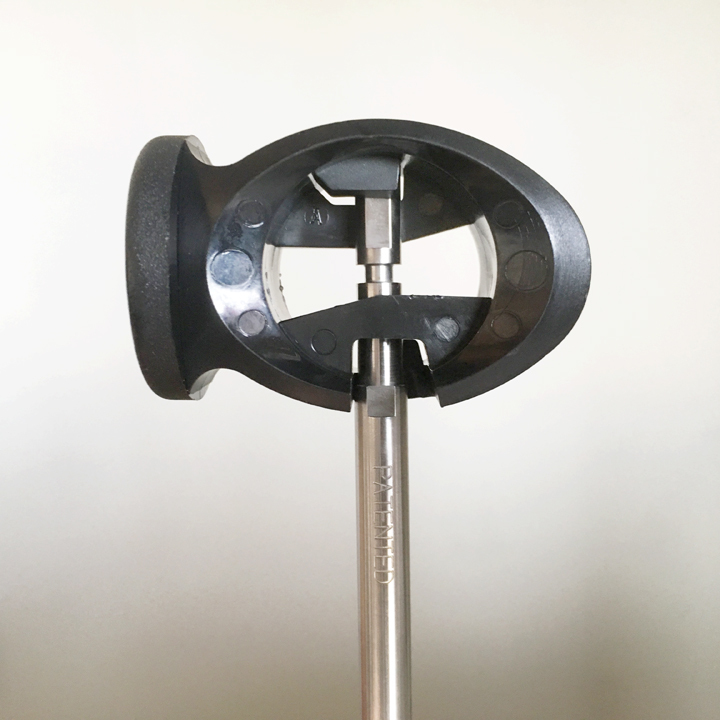 Dual sided rotatable head for two different sounds and foot feels. 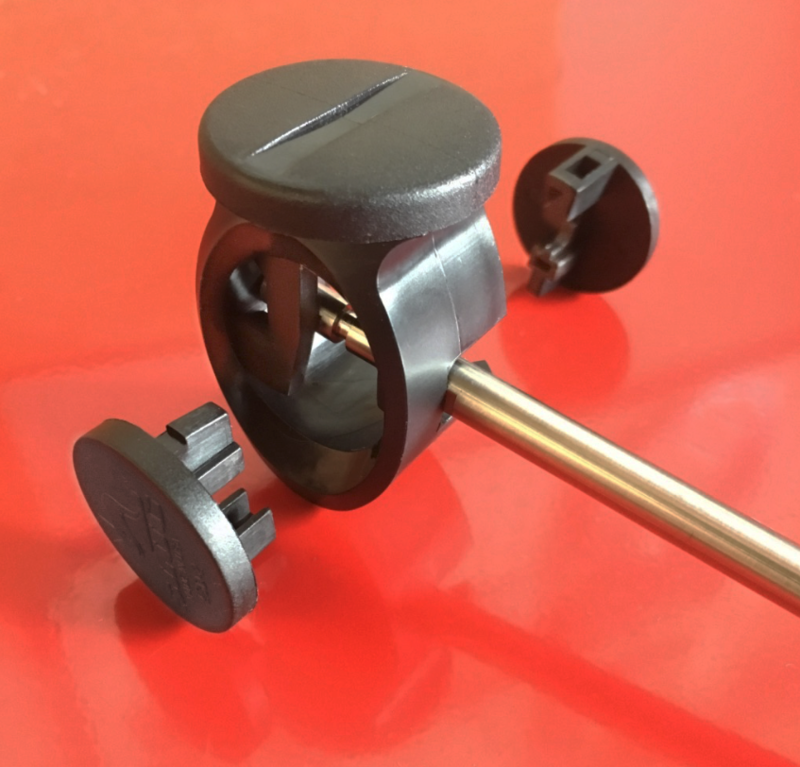 Cam-Action beater head rotates by hand without loosening shaft from your foot pedal. Automatically adjusting head maximizes drumhead contact. Works with all foot pedals and cowbell foot pedal set-ups. 5 different models designed for your playing technique, volume needs, and music style. Replaceable head assembly Repair service direct from Slug. Whether for gigs, recording, or just jammin' in the garage, there is a Power Head beater model for any music situation you need it for. Made of Hytrel®, a virtuallyindestructible, polyester elastomer engineering plastic designed for motor mount bushings in automobiles, the Slug PowerHead will not crack, or split open. Hytrel reproduces low frequency sound especially well, and does notcolor bass drum sound with high frequency attack or click sounds. The superior rebounding quality of the Hytrel also improves foot speed making faster play easier. The head is held secure by two snap-fit caps, and will never come off. There are no nuts or screws to loosen. And the Power Head never needs adjustment with any tools. The Power Head adjusts to your foot pedal set-up. The Power Head's patented Unitary-Axle design is "free-floating", adjusting automatically up to 8 degrees up and down and 5 degrees from side to side for maximum drumhead contact. Even if your foot pedal set-up is not in perfectly square alignment with the bass drumhead, the Power Head's "forgiving" action will keep it hitting square. Choose in an instant from two playing surfaces. 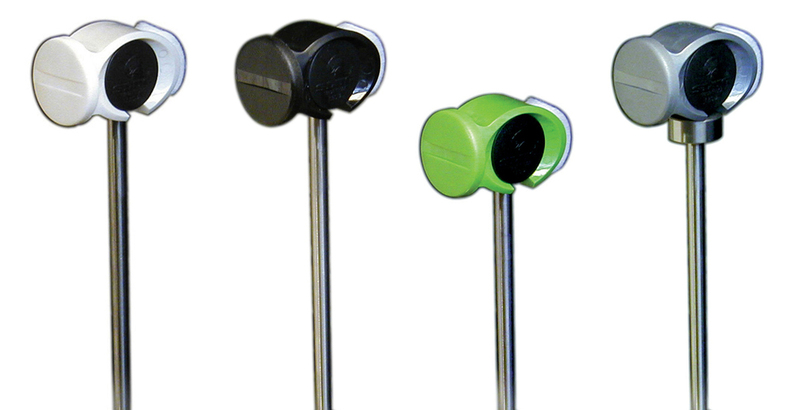 The Power Head can be turned around without loosening from the foot pedal because of an internal cam-action mechanism engineered within the head. 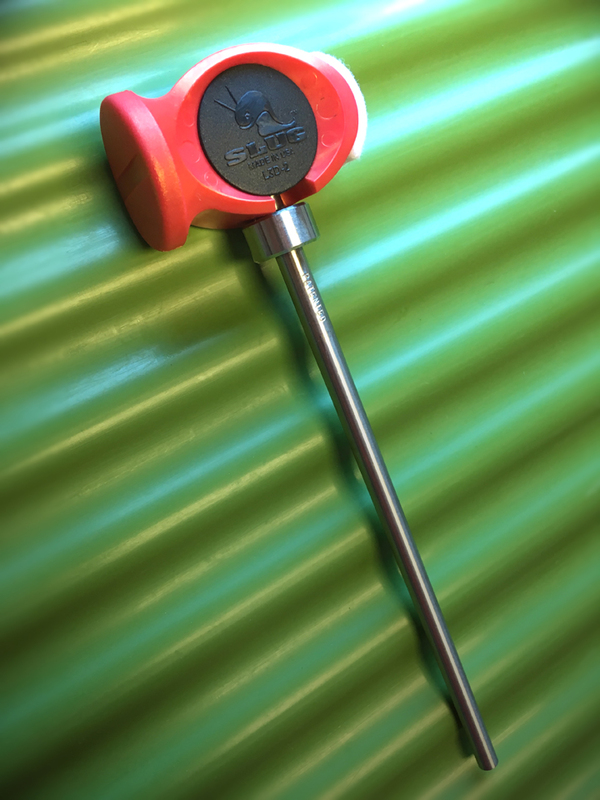 The Power Head's patented tapered shaft design is also another drumming first! All shafts start from .280" rod stock and are slightly tapered down to .240" on the bottom end, similar to a baseball bat. Balance-tapering improves foot feel and speed, delivering tremendous power due to increased shaft mass, limited flex, and end weighted balance. Admire the machined finish of aerospace grade Titanium or 17-4PH Stainless Steel; the naked beauty of these tapered shafts must be seen to be appreciated! Power Head beater tapered shafts are the strongest on the market and bend proof, with a Lifetime Warranty. 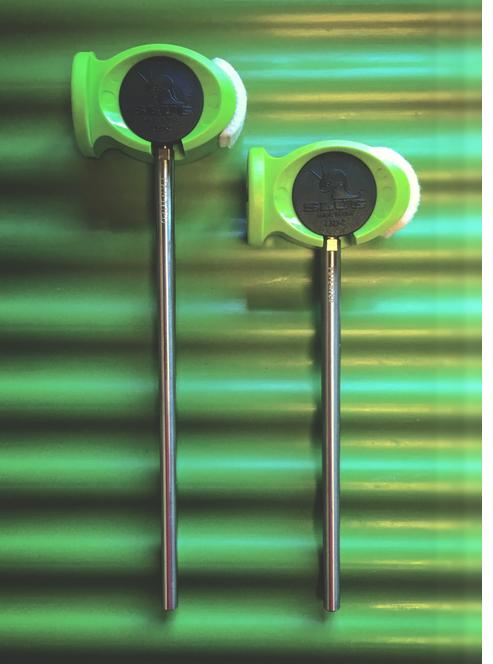 The Power Headbeater is the only beater made in the world that guarantees the shaft! As you turn the head by hand, you will feel a stop, keeping it in place during play. Two completely different beater sounds and foot feels are at hand with a simple 180 degree turn! The flat, slotted hammer-head side hits hard and "punchy". A 3/16" lateral groove divides the face, allowing air to escape out the sides of the beater face preventing any suction or slapping sound on the drumhead. The oval-rounded side of the Power Head sounds very full and "thuddy"; playing very quick with fast rebound. A replaceable 3/4" wide felt pad wraps around this end to reproduce the sound of a traditional felt head beater. Tremendous playing results and sound quality also when used with a cowbell foot pedal set-up! Because of the increased power and impact force of the Power Head beater, a Batter Badge Armourphragm impact pad is recommended for protecting your bass drumhead and controlling sound distortions. Choose the Power Head model for your style of play!